~ Your Base Camp for Alaskan Outdoor Adventures! 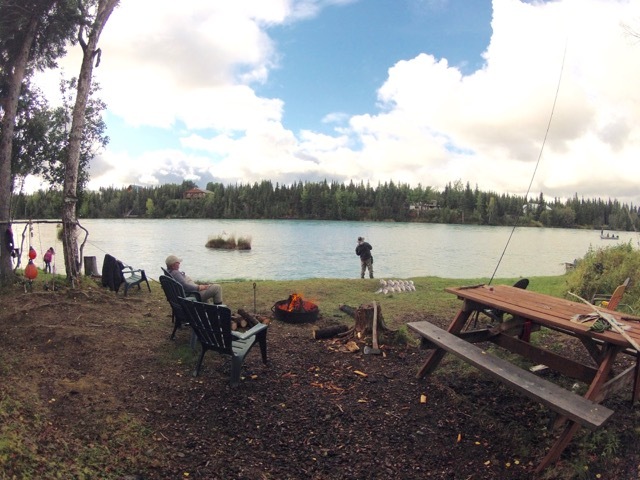 Unguided bank fishing* is available for those staying in one of our rental cabins. Customized by the day guided fishing can be arranged for those wishing guiding services. See our "FISHING" page for guide rates and details. In scheduling the Peak Sockeye Season, we must limit the number of fishermen in order to preserve the quality of the experience and prevent overcrowding as occurs on some public areas of the river. 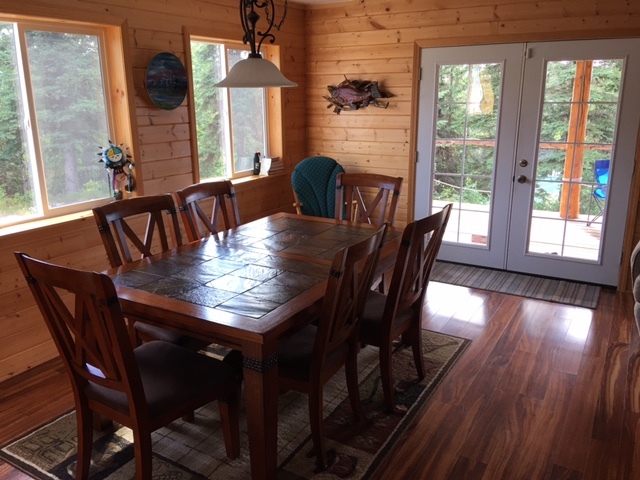 Accordingly, we only rent 2 cabins (the Eagles Retreat and the Bear's Den) during the peak of the salmon run. Our shore fishing for Red salmon (sockeyes) is from a natural waterfront environment and is perhaps the best sockeye fishing on the river. 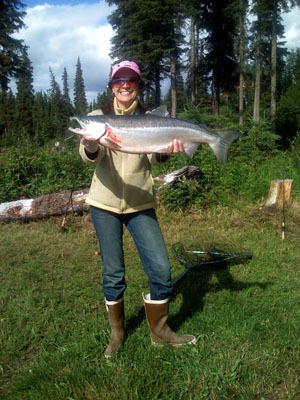 Silver salmon fishing usually runs from mid-August through September. Please call us for additional details, availability and rate information. 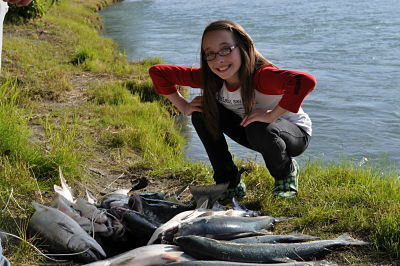 Note*: King Salmon Season on the Kenai River ends July 31st of each year. Note: Prices are subject to additional 3% tax / fees. All cabins have a 3 night minimum stay. For the safety and comfort of our guests no pets of any kind are allowed. All cabins are non-smoking. balance due 60 days before your arrival. See our cancellation policy here. Master card or Visa welcomed. in Sterling take a left on Midway Drive. Proceed approximately .6 miles down Midway to Robbie Way, which is a dirt road. on the right (to sign that says "Jamesons") to go to our Eagles Retreat and Bear's Den cabins. Take the second dirt driveway on the right (bearing to the right) to go to our office cabin. The telephone number to call is (907) 242-7245 in case you get lost or need further directions.